More items you buy, more money you save at Reebok Canada online. You can save up to 40% off your purchase, it is only up to you how much you save! 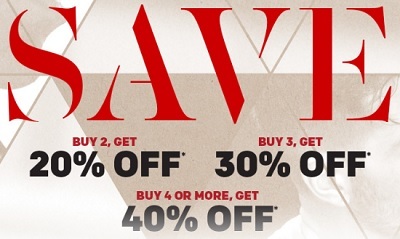 Buy 2 items, save 20%, Buy 3 items, save 30%, Buy 4 items, save 40%. Official source of the information is Reebok Canada. Offer is valid until June 26, 2016. For more details about the promotion visit Reebok Canada online.